Get up to 7 free auto shipping quotes from the largest, most trusted Michigan auto transport companies and save up to 50% on your car shipping rates at CarMoves.com. Car shipping companies in Michigan compete for your business, which is how you can save hundreds, if not thousands of dollars on car transport services by shopping with us. Whether you're shipping a car to Michigan, across the country, or even overseas, we can help you get the best price on your shipment - guaranteed! Read more about the following auto transport companies in Michigan before getting a quote. Click on the name of the company to read a full review. National Car Transport National Car Transport offers a seldom advertised option: rush shipping for qualifying orders. This BBB-accredited company has 12 years of experience in the auto transport industry. PayPal and credit cards are accepted forms of payment. They work with eBay Motors to ship cars from state-to-state. Get a free auto transport quote today to find out how much it costs to ship a car to or from Michigan! 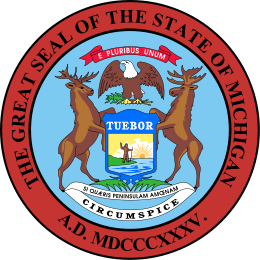 Michigan is one of the largest states in the Great Lakes region. In fact, it has more land bordering freshwater coastline than any other governmental subdivision in the world. Michigan borders all of the Great Lakes excepting Lake Ontario. Unlike many other states, the state is divided quite distinctly into two peninsulas, which are named the Upper and Lower Peninsulas. The Peninsulas are separated by the Strait of Mackinac, a channel that extends five miles in length connecting Lake Huron and Lake Michigan. Perhaps as a result of the division, the Upper and Lower Peninsulas display very different characteristics. The Lower Peninsula is dominated by large urban and suburban cities, and, geographically, resembles a glove. Detroit, Grand Rapids Lansing, and Flint are all found in the southern portions of the state. There, manufacturing, education and health care are major industries that support residents. In particular, most of America's auto manufacturers got their starts in the glove of Michigan. Though Detroit has experienced large declines in population and negative growth in its economy, it is still in the top 20 most populous cities in the country. On the other hand, the Upper Peninsula is quite sparsely populated, though it makes up nearly a third of Michigan's total size. The region lacks any densely populated areas, and has an economy more reliant on lumber, mining, and, more recently, tourism. Touring the Upper Peninsula has been popularized for the more vast regions of untouched wilderness and rural settings. Many residents of northern Michigan hail from Nordic ancestry, keeping their traditions and food, such as pasties and various smoked fishes, alive. In fact, since many residents are more familiar with Wisconsin broadcasting, Upper Peninsula residents frequently cheer for the Green Bay Packers instead of teams like the Detroit Lions. CarMoves.com works with car shipping companies throughout the state of Michigan. We can help you get the best prices on car transport services to the following cities in Michigan: Detroit, Grand Rapids, Warren, Sterling Heights, Lansing, Ann Arbor, Flint, Dearborn, Livonia, Clinton, Canton, and many more. If you don't see your city listed, don't worry - we can get your vehicle shipped anywhere in Michigan. Scroll to the quote section on this page to compare free auto shipping quotes from up to 7 Michigan auto transport companies and save up to 50% on your move! View the Michigan Department of Transportation website for more information.